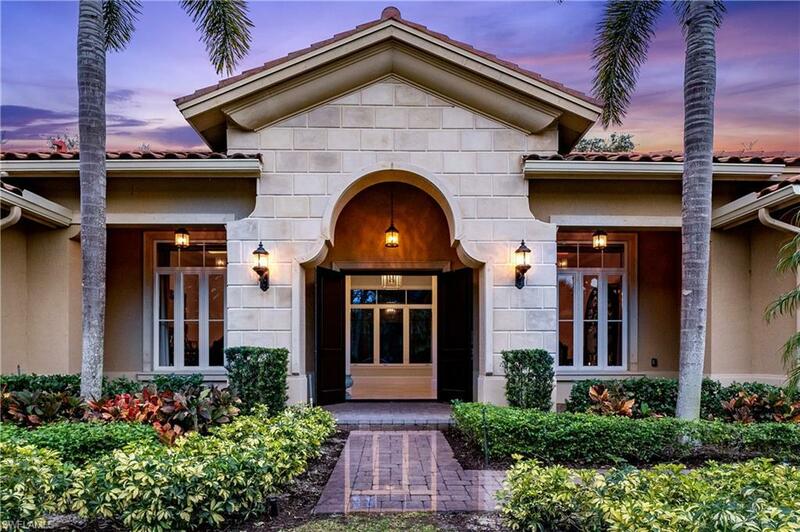 Located in Grey Oaks, one of the most sought after country club communities in Naples, this one of kind spacious home is designed to enhance the country club lifestyle.Superior finishes include designer coffered ceilings with LED Accents and custom millwork throughout. Vena Grigio marble and Legno Bastone wide plank wood flooring, custom cabinetry and a Chefs kitchen with large island, six burner gas cooktop, double oven, Sub Zero refrigeration and plenty of cabinet space are just some of the amenities in this home. 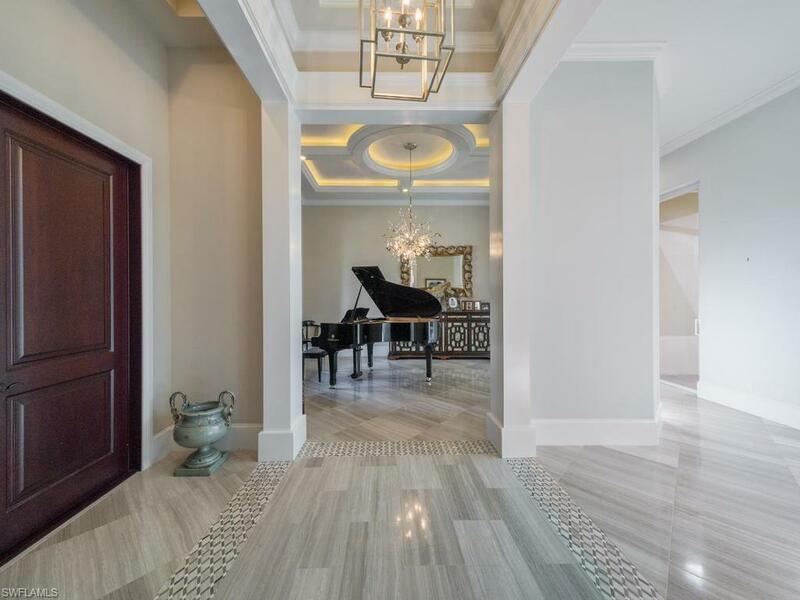 This luxurious home is also Smart; Lutron and Savant systems automatically control the lighting, shades, temperature, sound and video throughout the home. An inviting media room equipped with a hospitality wet bar and beverage center is a great place to enjoy your favorite sporting event or movie. The elegant master suite is comprised of a large TV viewing area, separate reading/study area and spacious his and hers custom closets. Access to the screen enclosed Pool, Spa, summer kitchen and covered lanai are just a few steps away. 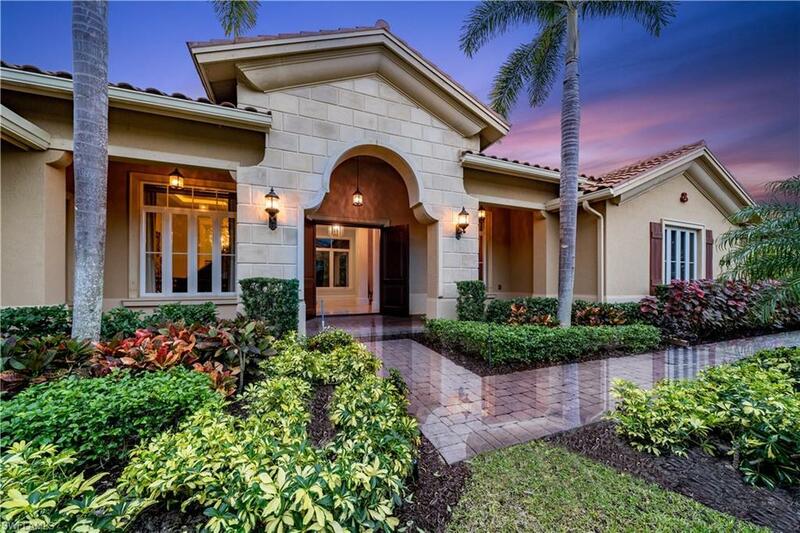 This home is very private and features additional space in the garage for a golf cart. Don't miss this amazing opportunity.